Design Centre | Westside Nurseries & Greenhouses Ltd.
Westside Nurseries boasts an in-house team of certified landscape designers with many years experience. We can help you create your dream garden, or a backyard oasis. One of our designers will meet with you at your home or cottage, take measurements, make note of special requests or requirements, and observe the location first hand. This makes us able to draw up a design to scale, with clearly labelled plant material, allowing you to better imagine the proposed design. We are capable of designing gardens with both soft-scape and hard-scape components, adapting them to the tastes and property of each client. 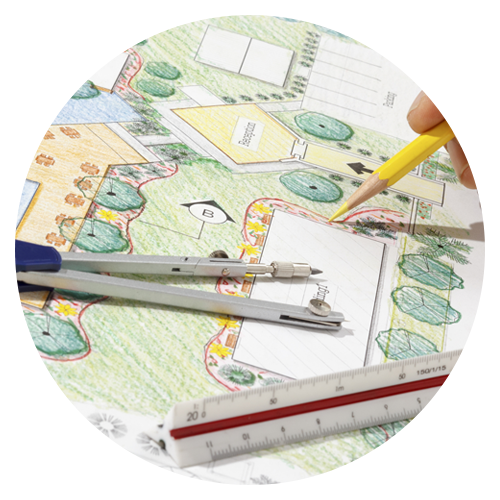 After a design is completed, your designer will contact you to setup a consultation in which they will discuss the specifics of the design, and provide a guided tour of our nursery to show a visual of the plant material that will be used. After the consultation, you receive a copy of the scaled design, which is yours to keep.